Resilience is at the core of Peirce College’s DNA. Just yesterday, we opened the door to a new academic year and had the honor of seeing our students – determined and hardworking adult learners – walk into their respective classrooms in search of advancement – academic, professional, and personal. Witnessing their daily steps toward their goals is a constant reminder of how critical our mission is to their success. Always keeping our students top of mind, we often host events to raise awareness about Peirce College and our priority areas. One such event is our annual Executive Breakfast fundraiser. Themed “Education Reimagined: Connecting Workforce, Equity, and Community Impact,” this year’s event on Friday, October 6th from 8:00 to 10:00 a.m. held at the College will focus on strengthening cross sector partnerships (education, business, government, and philanthropy) and driving more social and community impact. 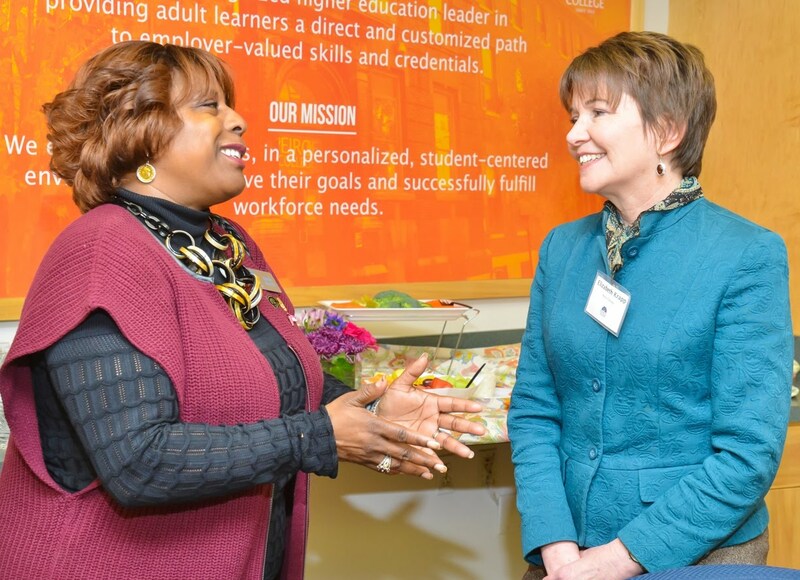 It is a crucial opportunity to support our adult learners through unique workforce partnerships and market-based learning solutions. Throughout the breakfast, you will hear from diverse executive leaders who will speak to the role of education and the interplay of business and philanthropy in advancing workforce and community needs. 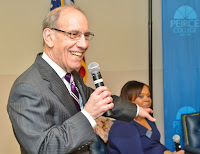 Guest speakers include Dr. William Hite, Philadelphia School District Superintendent, Dalila Wilson-Scott, Senior Vice President of Community Investment and President of the Comcast Foundation, Carol Wilson Pandza, Senior Vice President and Chief Human Resources Officer at AmeriHealth Caritas, and James Mergiotti, President and CEO of Peirce College. Today, more than ever, we believe that education requires strong, innovative partnerships between employers, education providers, government, and philanthropy. Together, we can continue to support and encourage degree completion, industry credentialing, and workforce training for more individuals, families and households in our region. Together, we can reimagine education to drive health, wellness, and economic prosperity! If you are interested in learning more, please contact me, Uva Coles, Vice President, Institutional Advancement and Strategic Partnerships, at 215.670.9206 or uccoles@peirce.edu. If you are interested in being a sponsor or attending the event, please visit peirce.edu/execbreakfast. Unable to attend but want to contribute? Text PEIRCE to 215.987.4482 and invest in our mission!